Is There a "Best" Time to End eBay Listings? When eBay first started in 1996, it was an auction only site, accessible by dial-up internet, in the U.S. only. Today we live in a world of mobile devices, sniping tools, eBay buyers all over the world, and a variety of eBay listing types. The eBay pool of buyers has gone global, so "Sunday night" is relative to where one lives and could be at virtually any time of day. 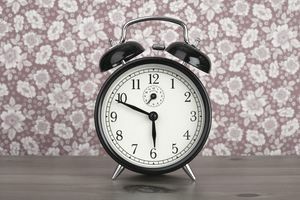 Since there are many buyers in many time zones, there may not be one ideal time to end your auction. When eBay first started, 7-day auctions were the only option. Many sellers listed their items on Sunday evenings because they worked full time and had the time on Sunday to work on their eBay businesses. So the "Sunday is the best time to end a listing" theory grew out of that routine. Today, eBay offers fixed price ​listings, and buyers can log on to eBay and purchase or make offers on items 24 hours a day. There is no reason to wait until a Sunday night to buy something. And for those sellers still running auctions, unless your item is truly unique, rare, or collectible, rest assured there is another one like it on eBay that is available right now. The buyer doesn't have to wait for an auction to end, they can buy it right now or submit an offer. Buyers can purchase items on eBay from virtually anywhere at any time, on any device with an internet connection. Additionally, sniping tools make it possible to win auctions without actually being logged on to eBay. A sniping tool is an application that integrates with eBay and bids on the auction in the last few minutes, with the bidding automated. You know those listing specials eBay offers? Like 1,000 free listings for a 7-day period? Those actually work against you when doing auctions. Here is what happens. Sellers often wait to list their items until eBay offers a free auction listing special. Then, the eBay marketplace is flooded with listings because sellers are taking advantage of the free special. There are exponentially more listings on eBay during the specials, which means more unsold listings. So since buyers can bid anywhere at any time around the world, it doesn't appear that there is one ideal time to end an eBay listing. Sellers spend a lot of time trying to figure out how to gain an advantage on competitors, and while there may be methods to give you an edge, timing your listing is probably not on that list. The best time to list eBay items is now, don't wait, and don't spend valuable time trying to crack the eBay code. People around the world are waiting to buy your items.